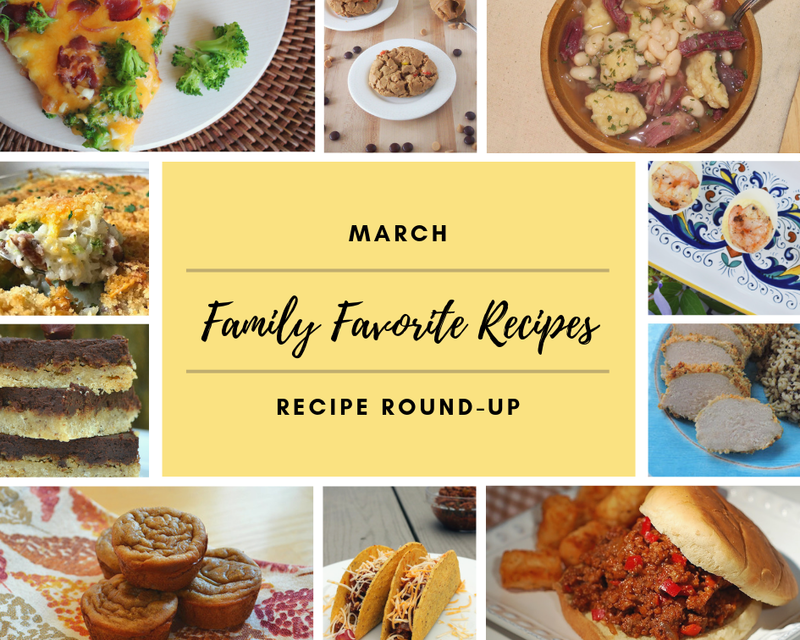 March is here and for this month we are sharing some of our family favorite recipes. We have recipes for breakfast, dinner, sides and soups, as well as a few desserts that we hope your families enjoy as much as all of ours do. Keep reading to get ideas for your March menu planning. Just a reminder that our group of bloggers post a themed recipe round-up on the last day of each month to help you with meal ideas for the upcoming month! This month we have a special giveaway as well, so keep reading to see all the recipes and enter to win! Oats, maple syrup, cinnamon, almond butter, and your favorite jam all come together in these sweet and delicious oat and jam breakfast squares. Breakfast is always a struggle in my house. 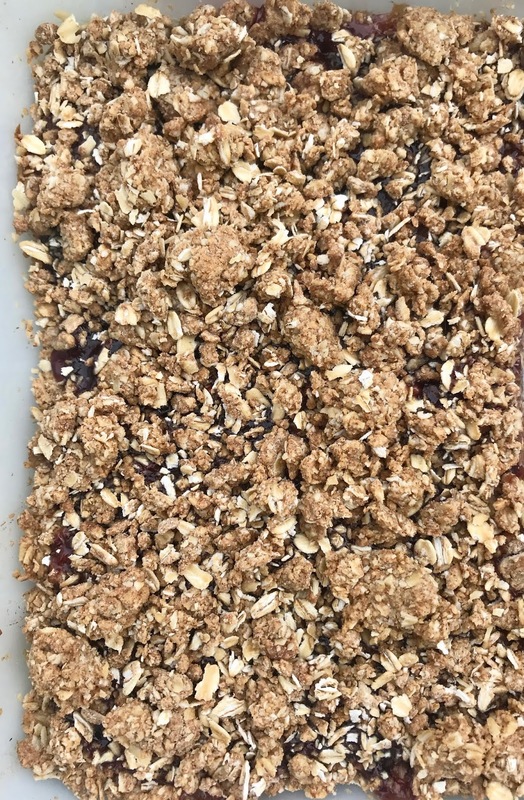 I don't like to have cereal super often (but it's easy and, of course, kids love it). We have oatmeal a couple times a week or a baked oatmeal. Eggs are always a go-to. My toddlers are always famished at breakfast these days. It's when they eat the most food of the day, so I'm always looking for new things to serve. 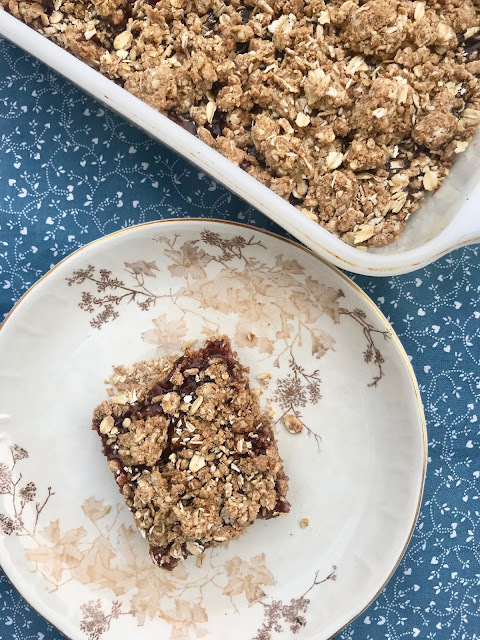 These squares are a little sweeter than I'd normally prefer for my own breakfast, but they are a nice treat, especially when served with a side of scrambled eggs or a small bowl of plain yogurt. They are very adaptable, too -- you can use any jam you like (I also think apple or pumpkin butter would be super good in these and I'm going to try it next time). You can use honey instead of maple syrup. You can use another nut butter, peanut butter, or even sun butter instead of the almond butter. Whatever you like and have on hand! You can also add some melted butter to the liquid mix for a slightly softer bar. This recipe will make about nine servings. 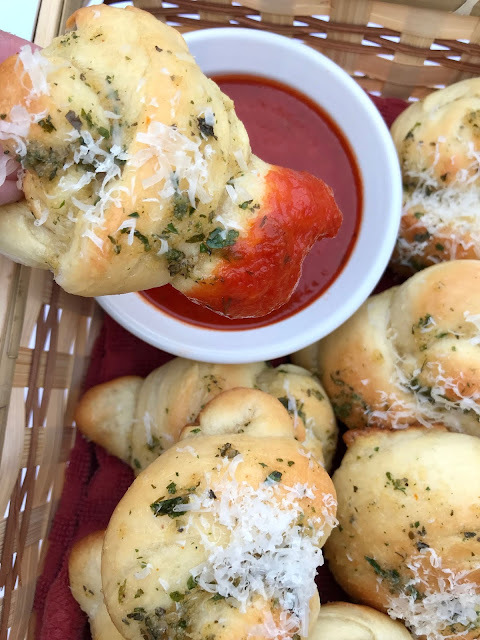 Homemade garlic knots are a delicious side to any pasta or soup dish. I've been saying for a long time now that I want and need to practice and perfect my bread-making and baking skills, but it always seems to go by the wayside. I need to get another sourdough starter going and I need to make myself work with yeast more. I mean, I always enjoy it, and it's not overly difficult, but it takes time and planning. I've been working on these garlic knots and they've been a huge hit with myself and my family. Truth be told, I've never eaten garlic knots from a restaurant. I've heard people talk about them and read about them, but I had never really experienced them myself until I started making them. They're basically a twisted up breadstick! I used some of my home-dried herbs from our garden to top these along with the garlic, butter/olive oil, and Parmesan and they are truly delicious. 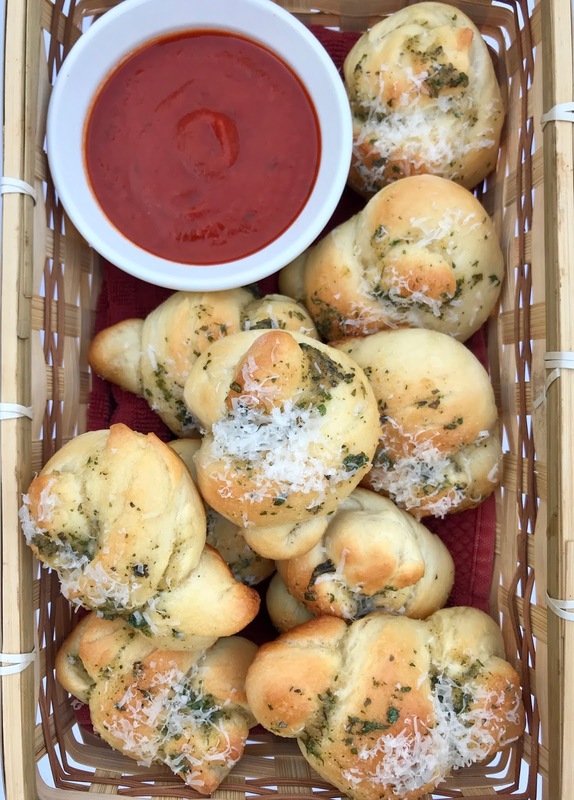 This recipe will make about 16-20 garlic knots, depending on how much flour you end up using and the size variation. Welcome to #FoodBloggerLove 2019! This is a yearly event where participants are assigned a blog to show some love around Valentine's Day. This year, I was assigned to Sarah Cooks the Books. I love the title of her blog for one thing - super fun and quirky. The premise of her blog is to actually cook recipes from the cookbooks she owns and share them with others. This is a great idea because, as she mentions, so many of us have cookbooks that we never cook recipes from lining our bookshelves. I always enjoy these type of events because I end up learning about other bloggers and I love really taking the time to dive into someone else's blog and recipes. Sarah has made recipes from so many cookbooks that are new to me and some that I've wanted to try out. I was tempted to make these burgers (we love Bob's Burgers), but with the weather lately it didn't seem seasonally appropriate. I really enjoyed how she has several frugally-inspired cookbook recipes shared on her blog because I'm always looking for frugal meals like this Cuban Ropa Vieja and German Onion Pie. 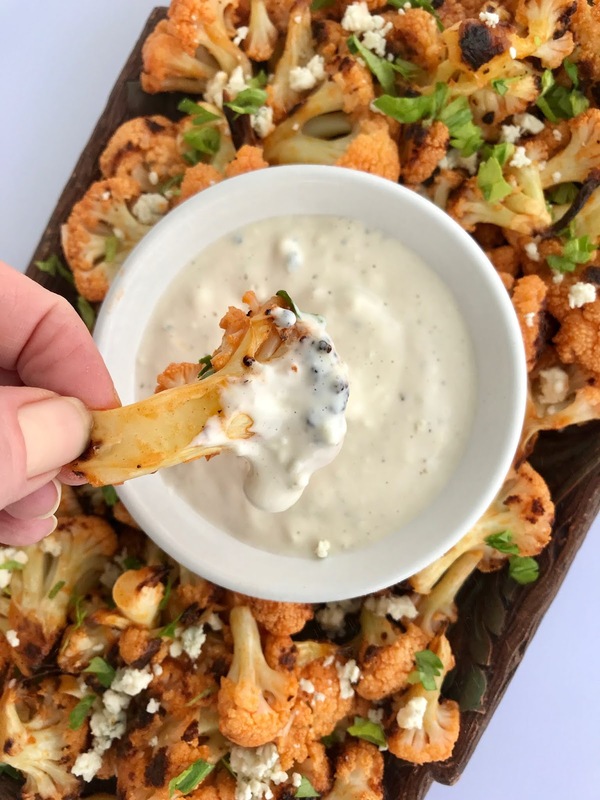 Plus, I really love her idea of a Pinterest Friday post, because who among us doesn't have thousands of recipes pinned that we've never tried?!? Check out Sarah's blog and all her social media while you are there! Sarah mentioned that she's really into comfort food right now. I chose to make a slightly adapted version of this chicken recipe (originally from The Beeroness). IPA is my favorite beer and I consider chicken smothered in sour cream and cream cheese pretty comforting. While the original recipe calls for rice, the paprika, nutmeg, and sour cream sauce scream egg noodles to me. 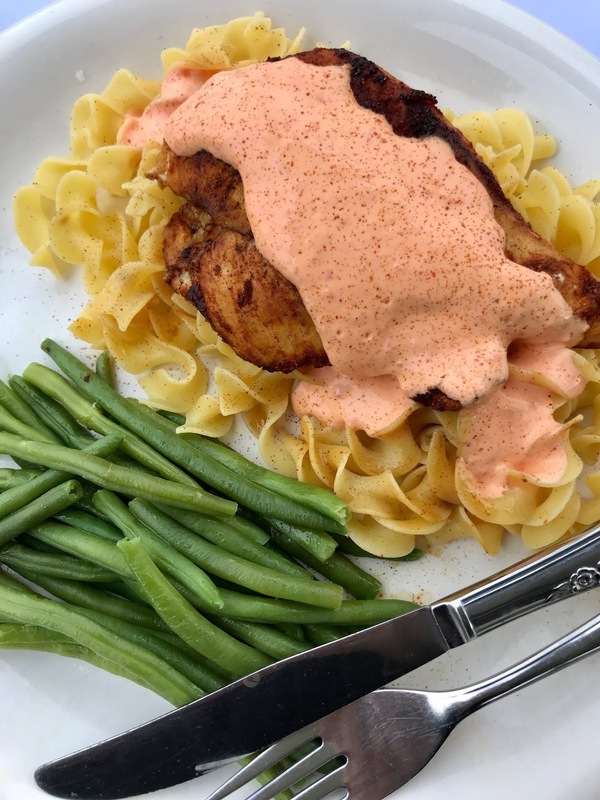 That's a comfort food meal that is still fancy enough for a special Valentine's Day dinner (plus a pretty color from the red peppers). This recipe will serve about 4-5 people. Serve with your favorite vegetable. 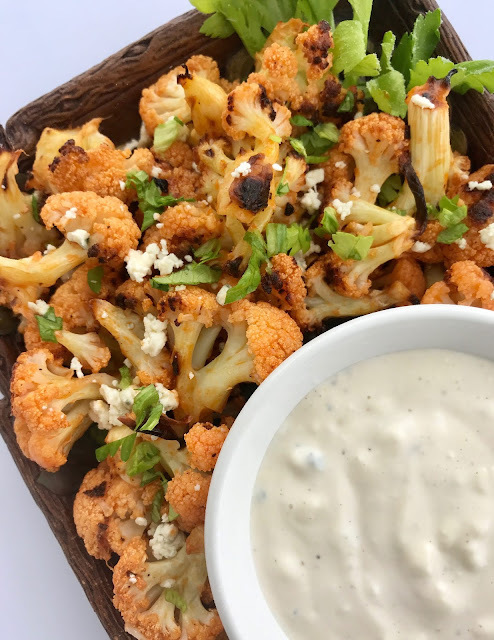 Roasted cauliflower is tossed in hot sauce and butter and dipped into a cool and creamy homemade blue cheese dressing. My husband and I received a restaurant gift card and babysitting from my mom for Christmas and the appetizer we ordered was Buffalo cauliflower. As a reminder, we live right outside Buffalo, so we don't "Buffalo" things lightly. It's serious business usually involving chicken wings, always blue cheese (never ranch), and Frank's hot sauce. I love things like chicken wing dip and Buffalo chicken mac n' cheese, but was skeptical about cauliflower. Well, it was delicious! Being the person I am, I had to Google and see there are approximately one million recipes out there for Buffalo cauliflower already. Most of them are baked with a flour coating, which didn't sound good to me (let's just fry those, okay??). Some are baked with the sauce already on, but this just doesn't sound like the Buffalo way to do it - you toss it with the hot sauce and butter after being cooked - right?! Of course some had ranch dressing which is just a no (sorry, not sorry haha). Most were baked, but I went with roasted to really heighten the flavor of the cauliflower itself. My husband said my version was way better than the restaurant version. These are never going to replace wings, of course, but this is a great snack or appetizer, or side dish to homemade pizza or chicken fingers. I served it along with celery and carrots for dipping up all the yummy dressing and to cool down the mouth as needed. Mine came out around a medium level of heat. If you want it hotter, use less butter. If you want it more mild, use more. Or adjust the hot sauce level a little.